Ministers have pledged to look at the extension of pay-as-you-go travel across the South East rail network after one operator agreed to accept Oyster and contactless payments at more stations outside London. The Department for Transport (DfT) said passengers using stations at Hertford North, Welwyn Garden City, Luton Airport Parkway and ten other stations, including Epsom in the constituency of transport secretary Chris Grayling, will be the first to benefit. Officials said ticket barriers will be upgraded for pay-as-you-go at these stations on routes into London in early 2019, marking the delivery of a promise by train operator Govia Thameslink (GTR), which runs Thameslink, Southern and Great Northern services. 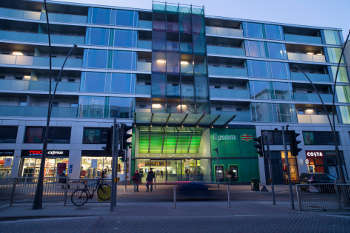 As Transport Network has previously reported, London pay-as-you-go rail passengers who inadvertently disembark at stations outside the Oyster network such as Epsom often suffer the double hit of a maximum charge for an incomplete journey as well as a penalty rail fare. Bringing these stations within the Oyster network will not only avoid this but allow Transport for London's daily and weekly fare capping to apply. Rail minister Andrew Jones said: ‘This is about making access to the capital even easier for commuters and other rail travellers, including visitors to the UK arriving at Luton Airport. Officials said the stations that will initially see Oyster and pay-as-you-go are designed to be the first wave of expansion of the system. Early in 2019, proposals will be published on extending to more stations across the South East network with a public consultation seeking views both on these proposals and on ‘how changes to fares can complement them by reflecting modern travel patterns’. The DfT’s previous efforts to bring smart ticketing to the South East under the £80m South East Flexible Ticketing scheme ended in failure and the industry is also is set to miss a DfT target to give ‘all passengers’ the option of travelling without a paper ticket by the end of the year, despite a further £80m public funding.